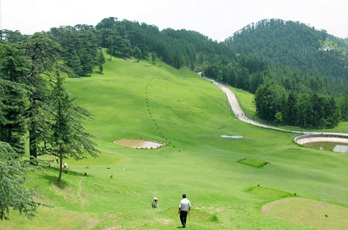 Nestled at a distance of 23 Km from Shimla in Himachal Pradesh, the Golf Course in Naldehra is the oldest golf club in India. 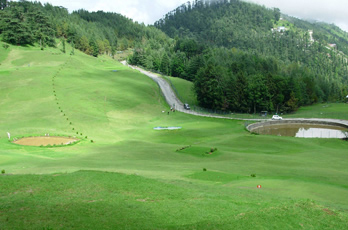 The golf course stretches over an extensive area surrounded by trees at an altitude of 2,200 metres. 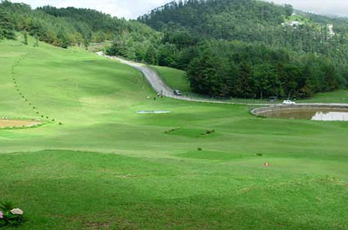 It is a par 68, 18-hole course with 16 greens and 18 tees. It features a design redolent of Scottish links courses. History In the year 1905, Lord Curzon was captivated by the beauty of the region and so he made his favourite camping site just outside the British summer capital of Shimla. What he made in 19's is now considered as one of the most scenic golf course in the country. Also, it is believed that in the memory of his stay he named this place as Alexandra Naldehra, which was the name of her theird daughter. Accommodation and Lodging While playing on the course, one may pay a daily green fee or take a temporary, annual or life membership. All the equipments are available here on rent as well. 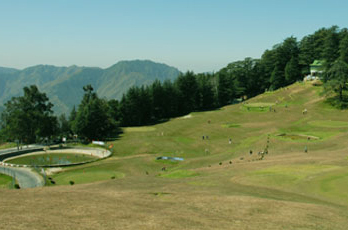 At present, the course is under the jurisdiction of Himachal Tourism that looks after the upkeep of the Golf Course. Visitors can also enjoy delicious cuisines with luxury accommodation in the property. Best Time to Visit Naldehra Gold Course remains open from April to November as the weather is quite pleasant.